IMPORTANT NOTE FROM THE PUBLISHER: If you appear in any photo and wish to receive a high resolution Jpeg version of the image for your personal use, please write to Simerg@aol.com, Subject: World Partnership Photo. Please provide your full name and phone number where you can be reached. The image will be emailed to you absolutely free of charge. 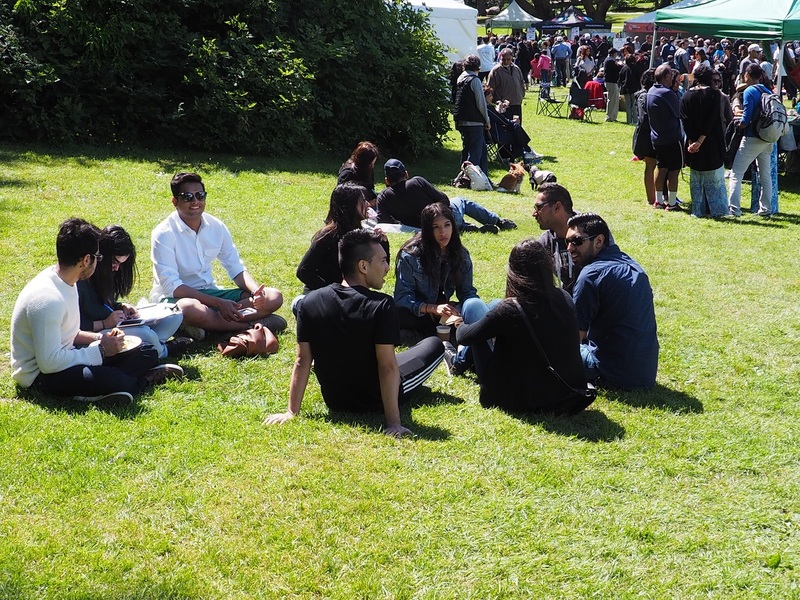 Editor’s note: This was my first ever participation in the Vancouver version of the Aga Khan Foundation Canada’s Annual World Partnership Walk that drew thousands of people to Lumbermen’s Arch at the beautiful Stanley Park on Sunday, May 29th. I arrived shortly before 10 am, and put out my first tweet thereafter. 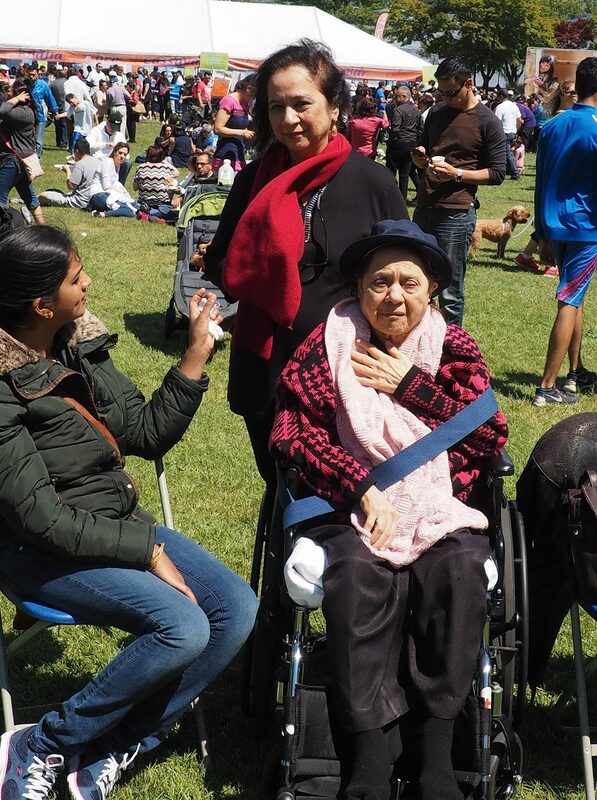 After the preliminaries, I joined hundreds of walkers on a 5km scenic path, and was struck by the enthusiasm that participants of all ages from different groups and communities showed. As the event drew to a close at around 3:30 pm, I did not wish to leave the site of the walk. I had become attached to it. I was happy to hear an announcement that the walk had raised almost $1.8 million to fight global poverty. Our congratulations to those who conceived the idea for the walk some 32 years ago, and everyone who organized, contributed and participated to make the event yesterday a memorable one. Similar walks were simultaneously held in Toronto, Montreal, Regina and Victoria. Other Canadian cities, namely, Calgary, Edmonton, Kitchner-Waterloo, London and Ottawa will have their walk on Sunday, June 5th. Members of the CIBC team with mascot. Photo: Malik Merchant/Simergphotos. The Shuttlesports contingency at the walk. Photo: Malik Merchant/Simergphotos. Tropical delights, mapera (guavas) and amli are neatly laid out before the start of the walk. Photo: Malik Merchant/Simergphotos. 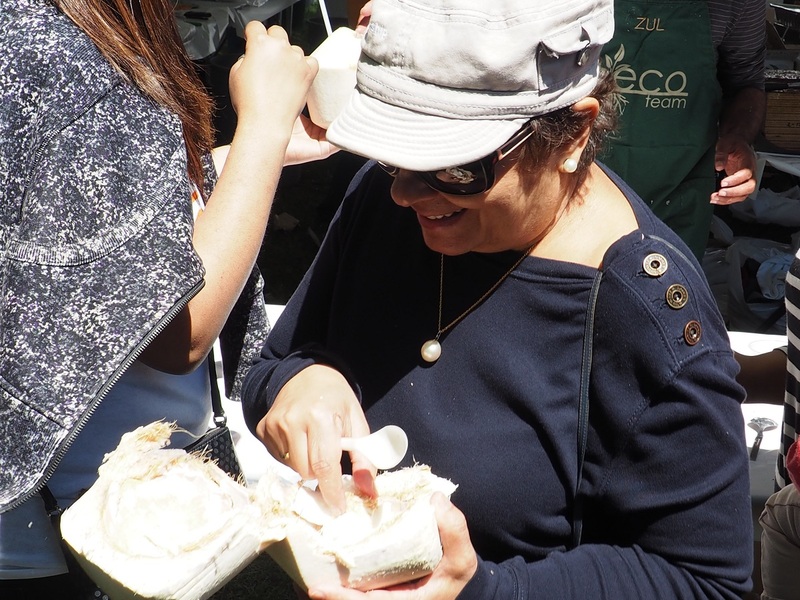 More tropical delights….a volunteer holds out a madafu. Photo: Malik Merchant/Simergphotos. The VIP’s at the walk and speeches. Photo: Malik Merchant/Simergphotos. Stretches before the walk. Photo: Malik Merchant/Simergphotos. Media presence. Photo: Malik Merchant/Simergphotos. Walkers head towards the start line following the conclusion of opening ceremonies. Photo: Malik Merchant/Simergphotos. Frontline – leaders of tomorrow hold the banner, moments before the ribbon behind them is cut to officially launch the 2016 walk in Vancouver. Photo: Malik Merchant/Simergphotos. A hundred metres into the walk. Photo: Malik Merchant/Simergphotos. Mothers show their enthusiasm for the walk. Photo: Malik Merchant/Simergphotos. Stanley Park, a walker’s paradise. Photo: Malik Merchant/Simergphotos. 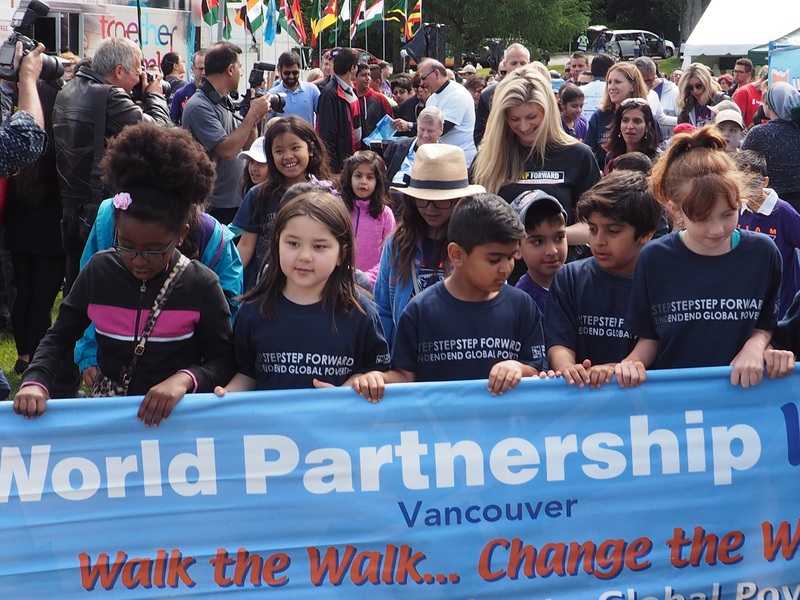 World Partnership supporters dominate the path normally used by visitors to Stanley Park. Photo: Malik Merchant/Simergphotos. Pleasant and beautiful surroundings, ideal for a 5km fund raising event. Photo: Malik Merchant/Simergphotos. Walkers in foreground with Lions Gate Bridge in the distance. The bridge connects Stanley Park and downtown Vancouver to the city’s North Shore municipalities of North and West Vancouver. Photo: Malik Merchant/Simergphotos. Participants walk and talk. Photo: Malik Merchant/Simergphotos. Show of support from the Simba group. Photo: Malik Merchant/Simergphotos. ….and more of the Simba team. Photo: Malik Merchant/Simergphotos. Enthusiasm and pace, beautiful children lead the way. Photo: Malik Merchant/Simergphotos. Pushing along…Photo: Malik Merchant/Simergphotos. The downtown skyline with Canada Place at left. Photo: Malik Merchant/Simergphotos. 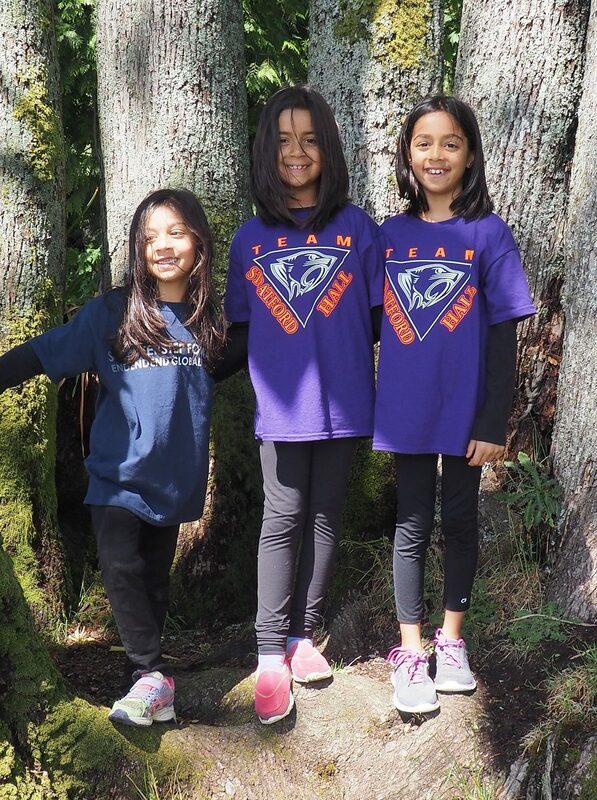 Tee shirts designed with the World Partnership theme of walking and raising funds to help fight global poverty. Photo: Malik Merchant/Simergphotos. 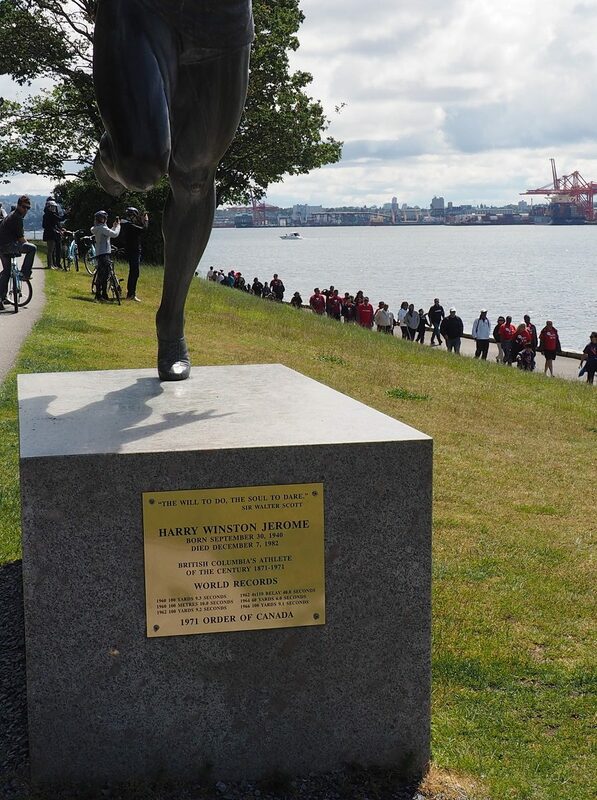 Walkers approach the sculpture of British Columbian athlete, Hary Jerome, with the theme “The Will To Do, The Soul to Dare.” Photo: Malik Merchant/Simergphotos. 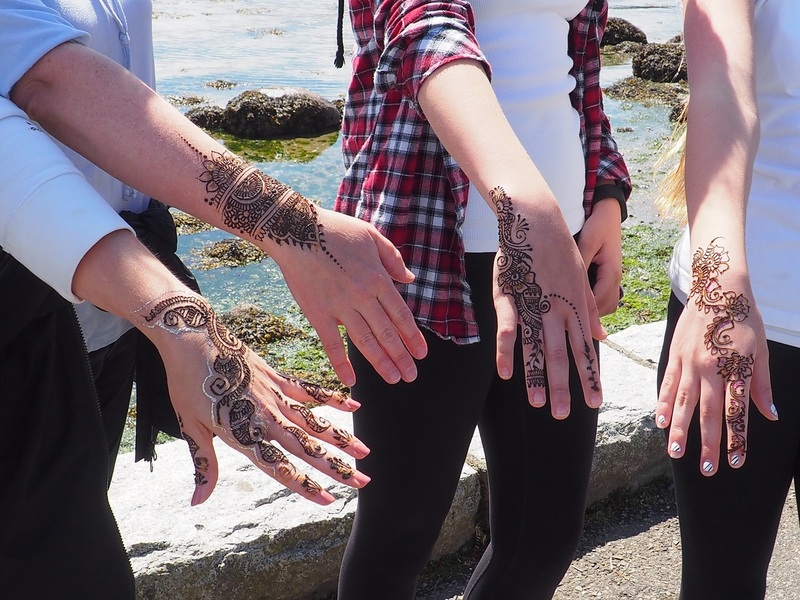 Beautiful supporters show off their henna designs prepared by artists at the World Partnership walk. Artists charged a nominal fee, with proceeds going to the Walk. Photo: Malik Merchant/ Simergphotos. Close-up of the intricate designs. Photo: Malik Merchant/Simergphotos. Adorable girls take to a tree during the walk. Photo: Malik Merchant/Simergphotos. 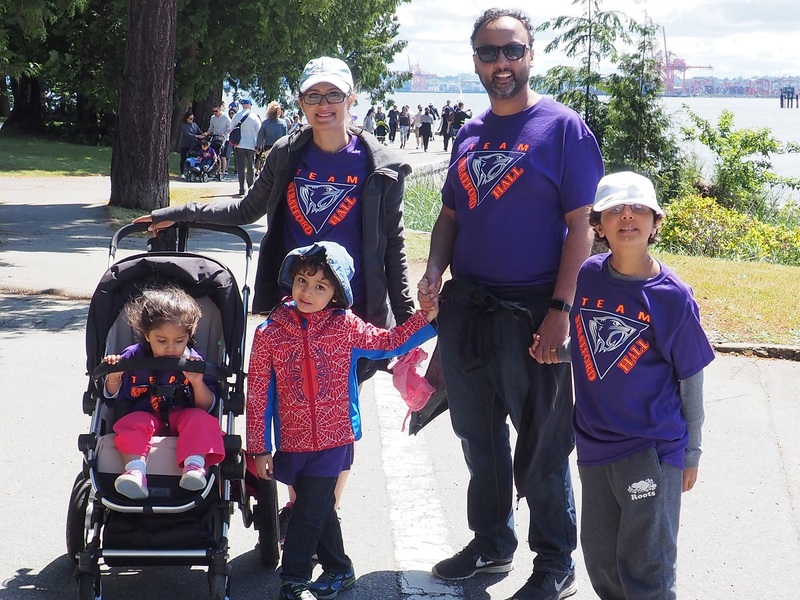 A beautiful family at the walk. Photo: Malik Merchant/Simergphotos. Father and son. Photo: Malik Merchant/Simergphotos. 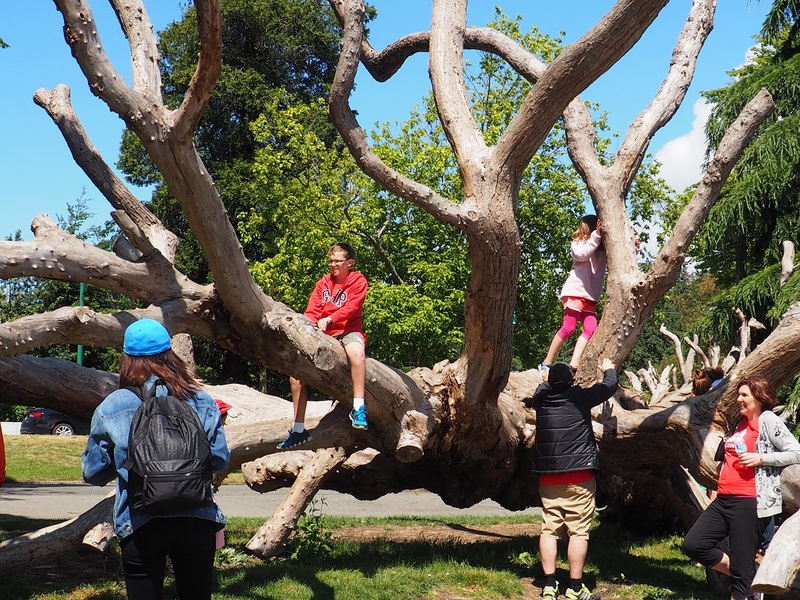 Sideline…visitors to Stanley Park play on a tree. Photo: Malik Merchant/Simergphotos. 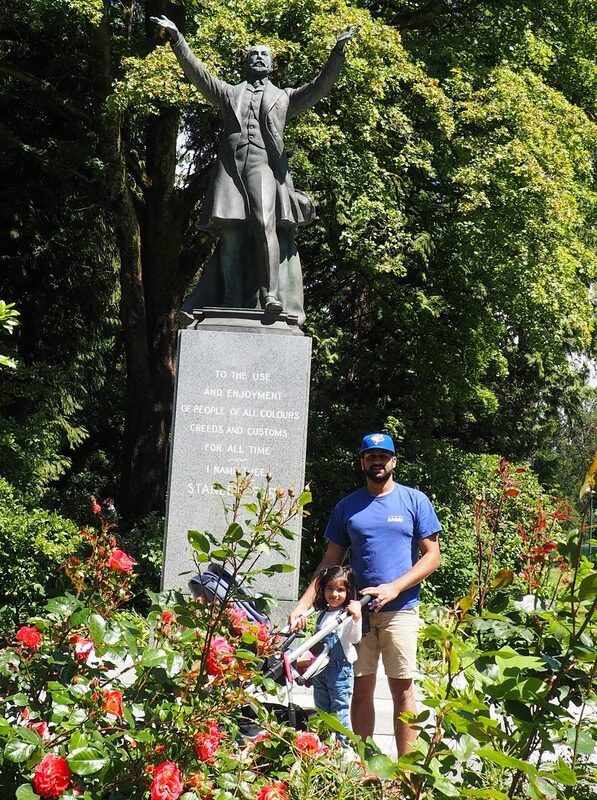 A little girl and her uncle stand in front of a statue that declares Stanley Park as a place to be enjoyed by people of all colours, customs and creeds for all time. 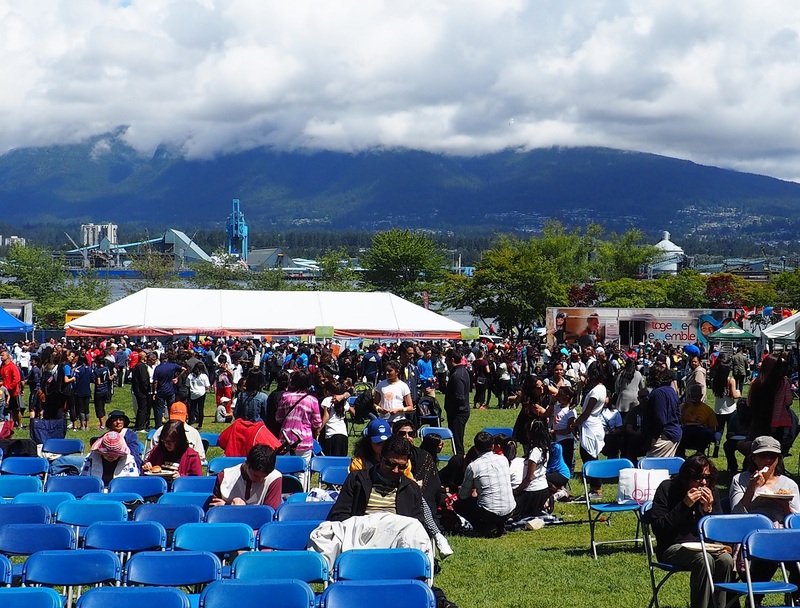 Within that spirit and vision, the Park has been home to the World Partnership Walk for many years, and has helped raise millions of dollars to fight global poverty and bring hope to countless people in Africa and Asia. Photo: Malik Merchant/Simergphotos. 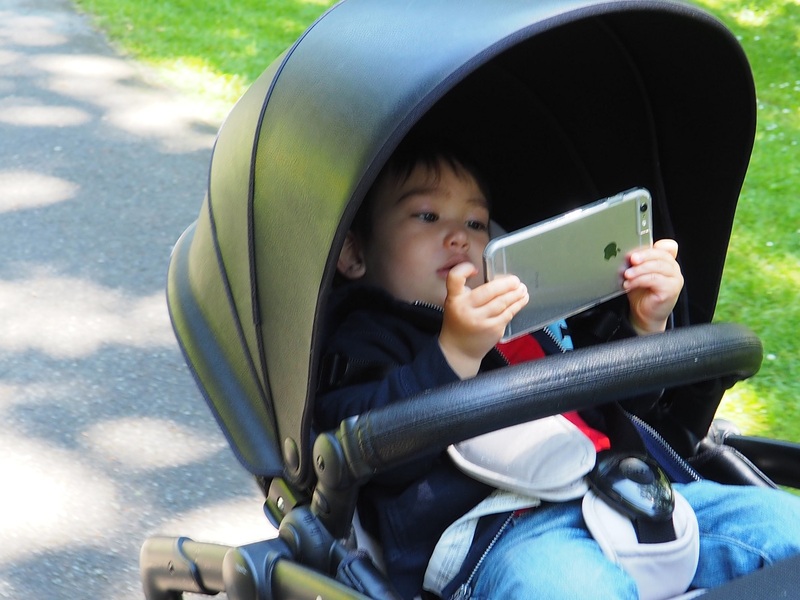 In present day and age, ubiquitous learning…and ubiquitous presence of technology. A focused young genius at work! Photo: Malik Merchant/Simergphotos. Moments before the finish line at Lumbermen’s Arch. Photo: Malik Merchant/Simergphotos. The scene within minutes of the walk’s completion. Photo: Malik Merchant/Simergphotos. Children and youth inspire us, and so do the elders through their participation. Photo: Malik Merchant/Simergphotos. 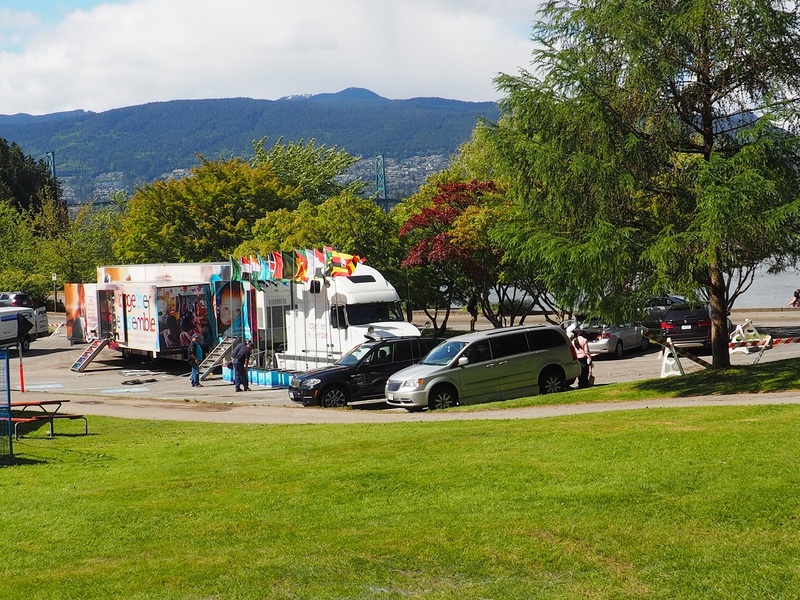 The Aga Khan Foundation’s mobile exhibit, Together-Ensemble, stands put at right, while a horse drawn carriage, a cyclist and other vehicles compete for access on the road going around Stanley Park. Photo: Malik Merchant/Simergphotos. 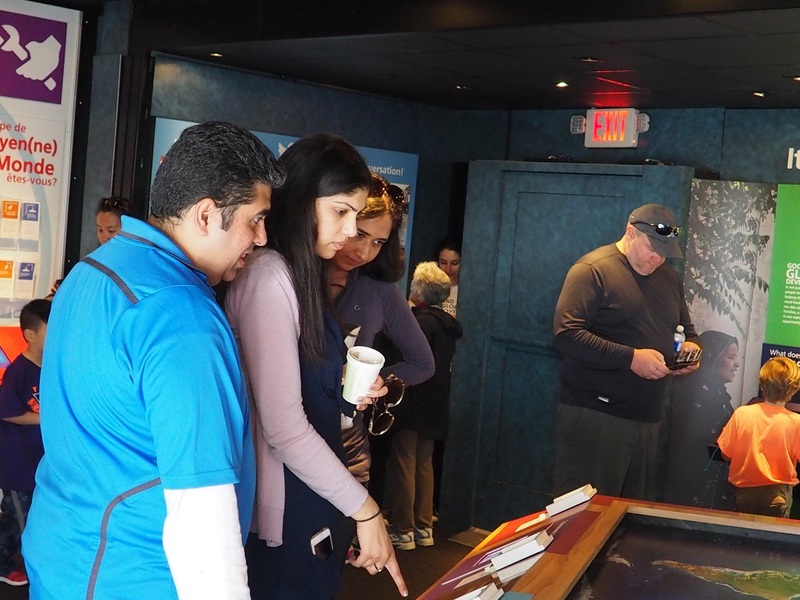 Visitors responding to interactive questions at an exhibit in the Together-Ensemble truck that has travelled 19,000 kms across Canada in the past year to present the work of the Aga Khan Foundation Canada. Photo: Malik Merchant/Simergphotos. 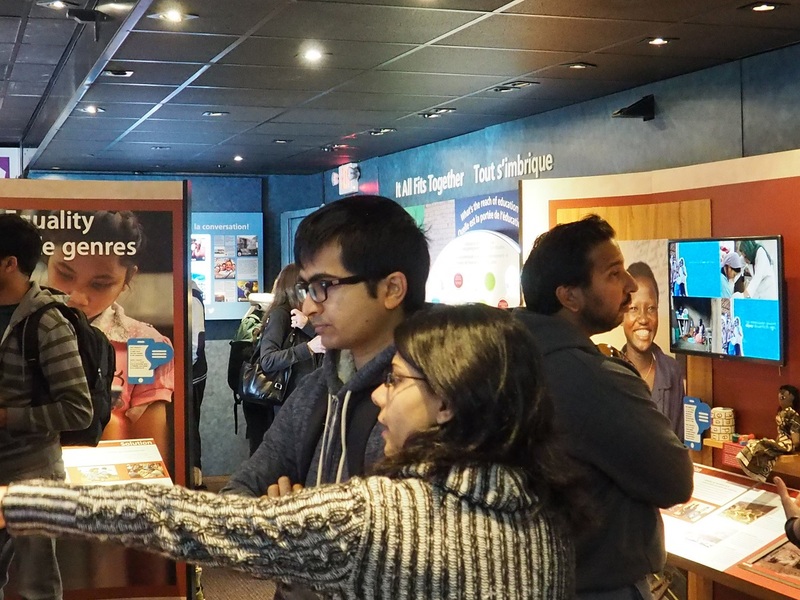 The Together-Ensemble mobile exhibition enabled visitors to learn about the work of Aga Khan Foundation Canada in Asia and Africa. Photo: Malik Merchant/Simergphotos. “God created Man from One Soul. 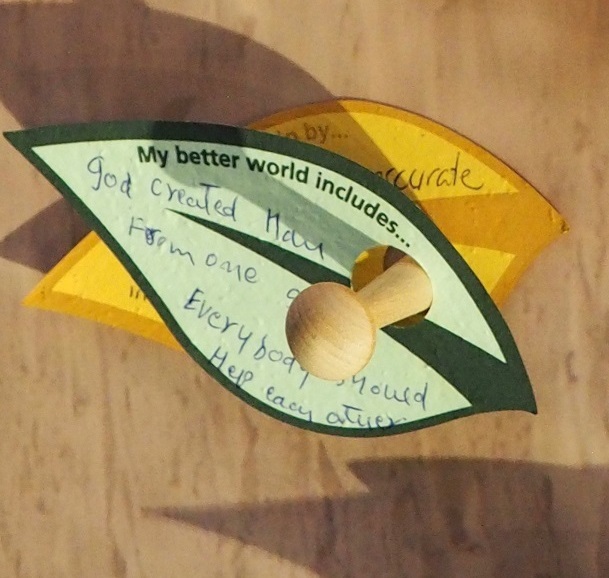 Everybody Should Help Each Other” – a thought by a visitor to the exhibition. Photo: Malik Merchant/Simergphotos. Visitors admire the art work of Shamya Jaffer showcased at the entrance of the mobile exhibition. The winning piece entitled “Hidden Complexities” represents s a map of the world filled with different, detailed patterns that connect and overlap each other, symbolizing inter-connectedness between countries and continents. Photo: Malik Merchant/Simergphotos. A lesson in global development inside a 53 foot truck? Yes, indeed! Photo: Malik Merchant/Simergphotos. 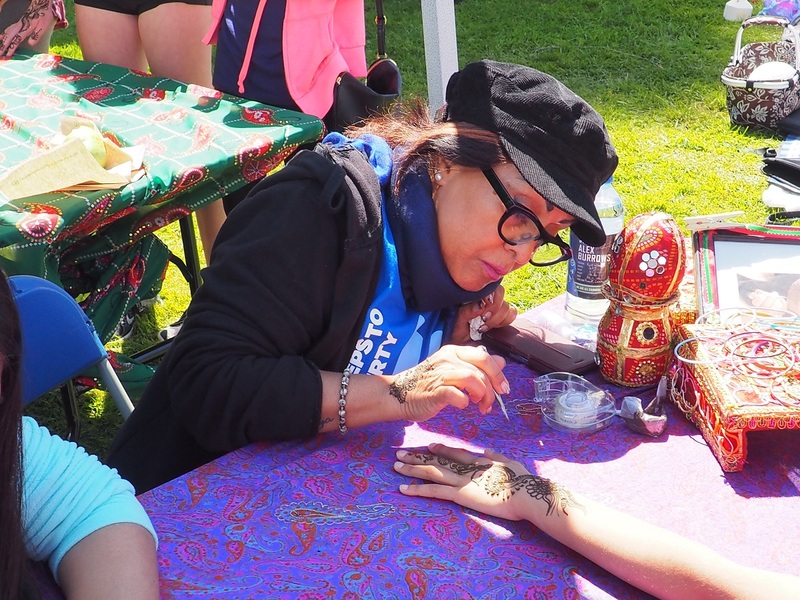 A henna artist creates an intricate design on the hand of a young girl. 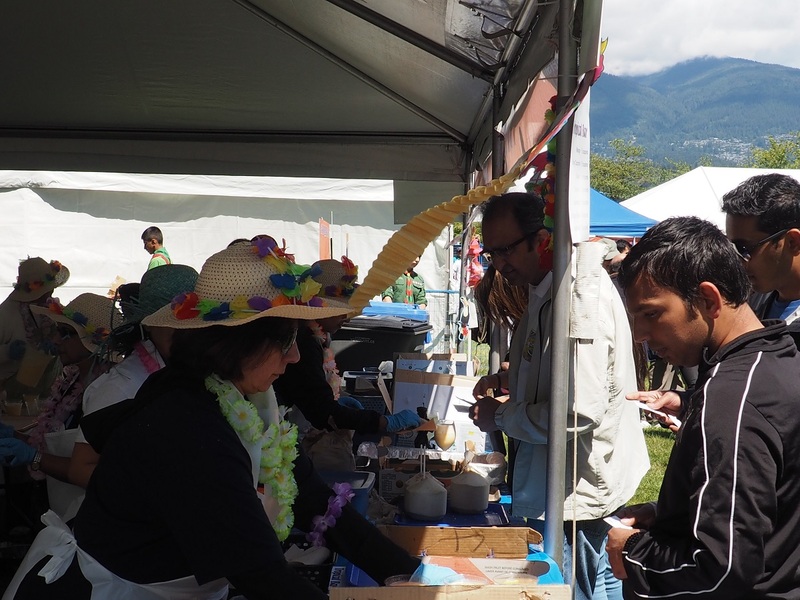 The artists on duty charged a nominal fee that went to support the World Partnership Walk. Photo: Malik Merchant/Simergphotos. “Quick, Wifi or not…to my mom (?) please!” Photo: Malik Merchant/Simergphotos. Who says it’s hard to feed children? 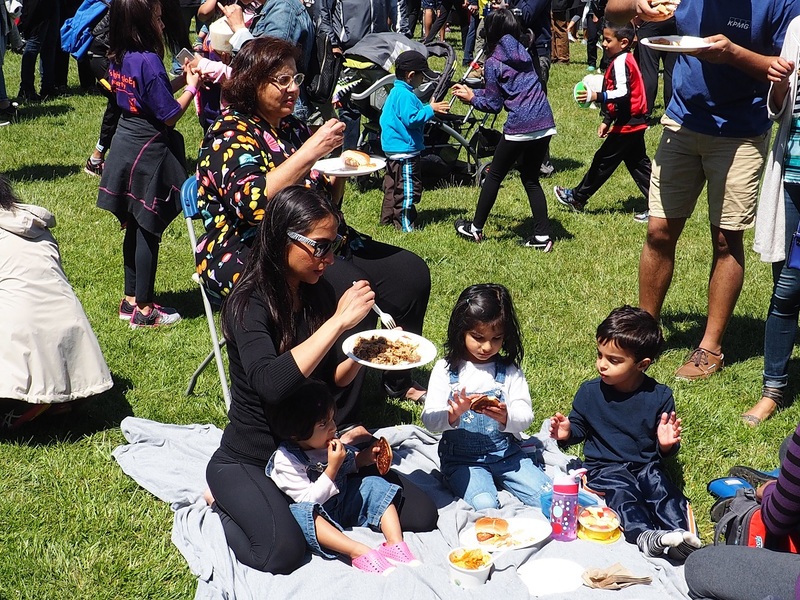 A mother enjoys her plateful of beef akni, an Ismaili specialty, as children look after their own affairs. Photo: Malik Merchant/Simergphotos. Tropical theme…an amazing and delicious array of tropical fruits being served at the World Partnership Walk in Vancouver. Photo: Malik Merchant/Simergphotos. Madafus chopped into half with a very precise and severe blow on the table, and ready for delivery for some malai scooping. Photo: Malik Merchant/Simergphotos. The malai. Photo: Malik Merchant/Simergphotos. 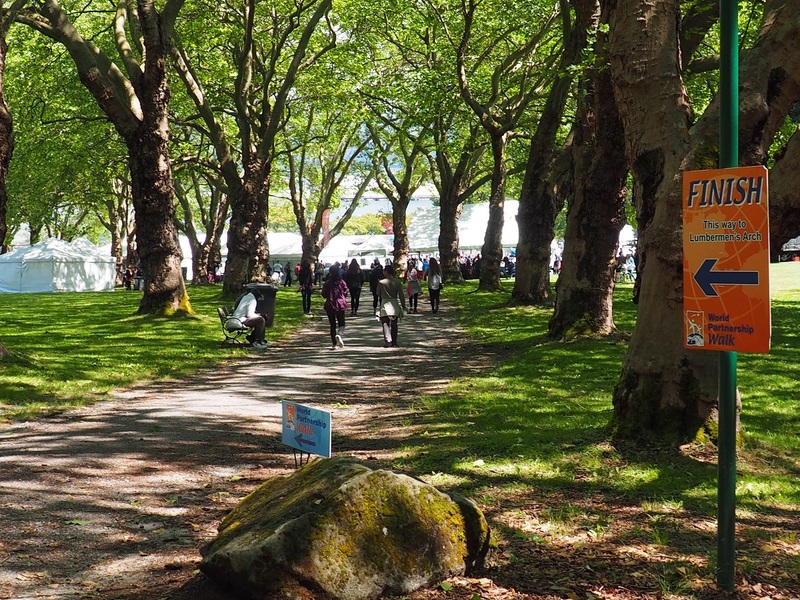 The area around Lumberman’s Arch was the site of the 2016 World Partnership Walk. 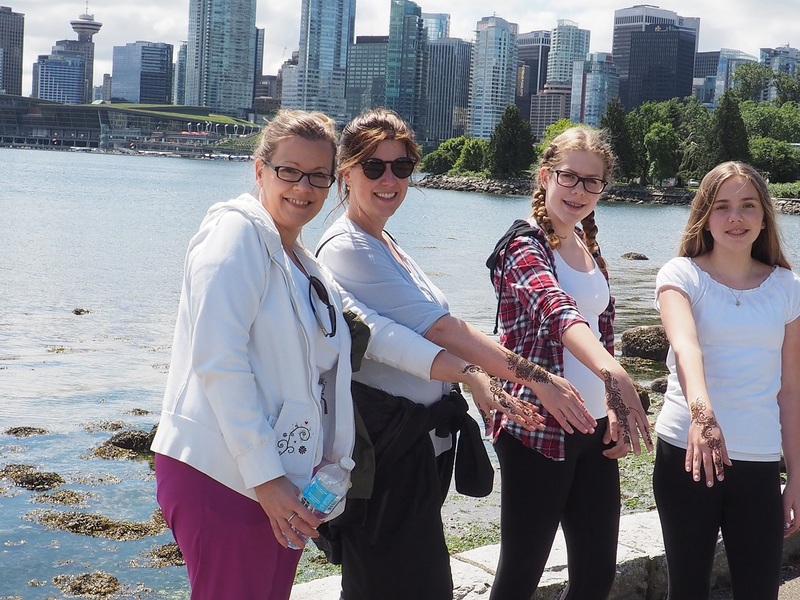 The arch is a popular meeting place and landmark on the North side of Stanley Park. 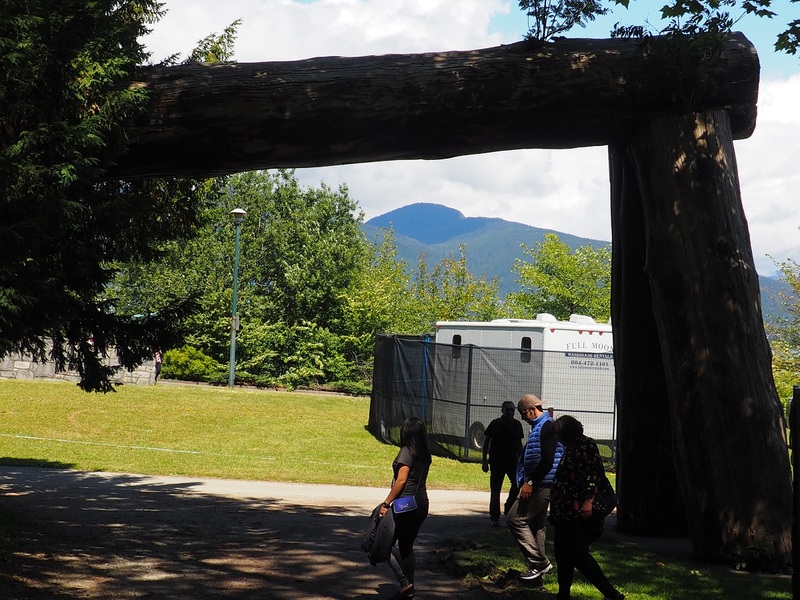 The single log propped up by two others was installed some 60 years ago, and is a monument to the major lumber industry that built up the Province of British Columbia. Photo: Malik Merchant/Simergphotos. 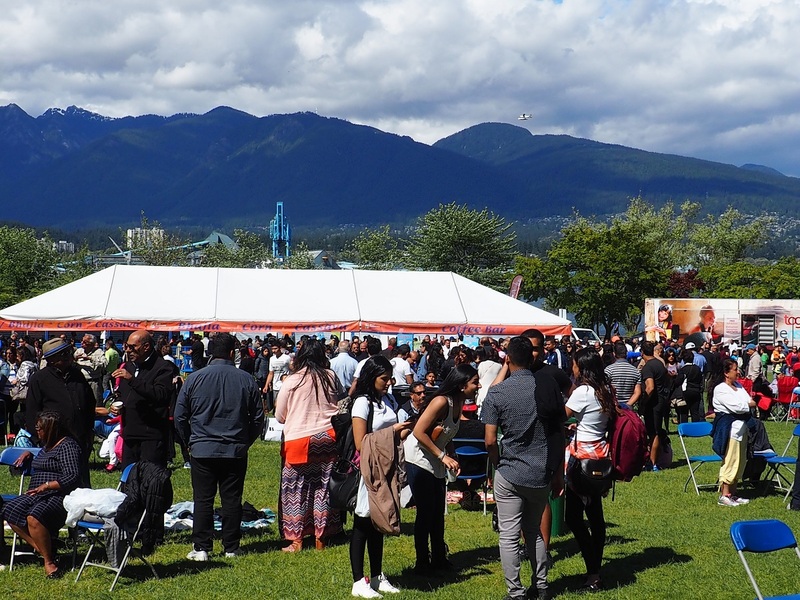 A group of youth enjoy their time at the World Partnership Walk, just as the event came to a close. Photo: Malik Merchant/Simergphotos. The last few minutes at the site of the 2016 World Partnership Walk. Photo: Malik Merchant/Simergphotos. Care, comfort and love for a child at the walk. Photo: Malik Merchant/Simergphotos. At the culmination of the walk event, the lone Together-Ensemble Truck awaits its next long 1000 km drive to Calgary. Flanked by flags of numerous countries where Aga Khan Foundation Canada is active, The 53 foot truck was set to leave for Calgary at 5 am on May 30, 2016. 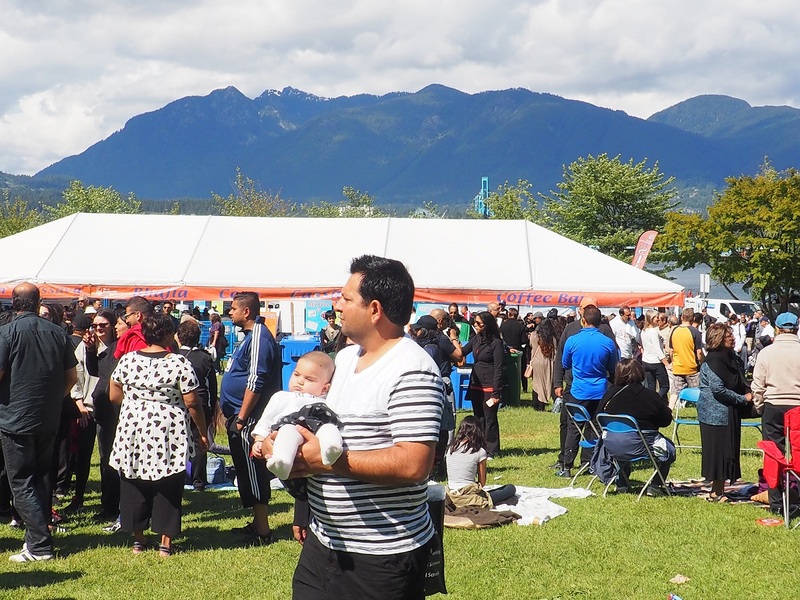 More than one thousand people visited the mobile exhibition during its 3-day stop over at the Ismaili Centre in Burnaby and at Stanley Park in Vancouver. Photo: Malik Merchant/Simergphotos. Date posted: Monday, May 30, 2016. Last updated: June 6, 2016, 22:00.. Copyright Simergphotos. To reproduce this post or photos shown on this page simply credit http://www.simergphotos.com. This open permission is granted for this specific post only.